Several months ago, we wrote a blog about the 2011 Topps Series 1, so we decided to preview Series 2, which is scheduled to be released on June 8th. Because it is the second series, there really aren't many surprises, but the set builds on themes established in the first series. There are some new insert sets that are included in the Series 2. "Before There Was Topps" explores the world of baseball cards prior to Topps' first major set in 1952 (or '51, depending on your definition of "major"). "Diamond Stars", the name of set originally released in 1934-36 by the Goudey Gum Company, consists of 25 of the best players today. The "Hall of Fame Buybacks" cards are original Topps cards randomly inserted into packs. The "Dual Relics" insert consists of two players on one card with one relic piece each. Finally, there are also Platinum and Canary Diamond Anniversary Parallel cards that are parallels of both Series 1 and 2. 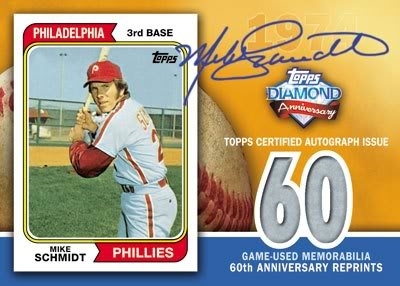 Collectors can also expect to see Kimball's Champions, 60th Anniversary Autograph cards, Diamond Duos, and Glove Leather cards. These cards are a continuation of the Series 1 inserts. 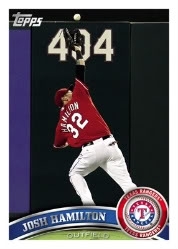 Some notable players who have their base card in Series 2 are Jason Heyward, Brandon Phillips, Francisco Liriano, Evan Longoria, Jose Reyes, Joe Mauer, Prince Fielder, Josh Hamilton, and Tim Lincecum. 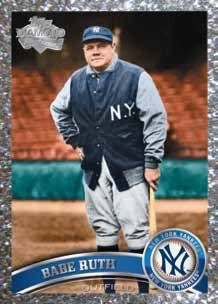 Please click here to see our entire 2011 Topps Series 1 inventory.